My output lately has been abysmal and I don't even have a great excuse. I have been working a fair bit up in Fort McMurray and I can't exactly be toting my personal camera around during my work, so that is a bit of a limiting factor. I have, however, been doing small outings while I'm back in town and haven't been writing anything about those trips. 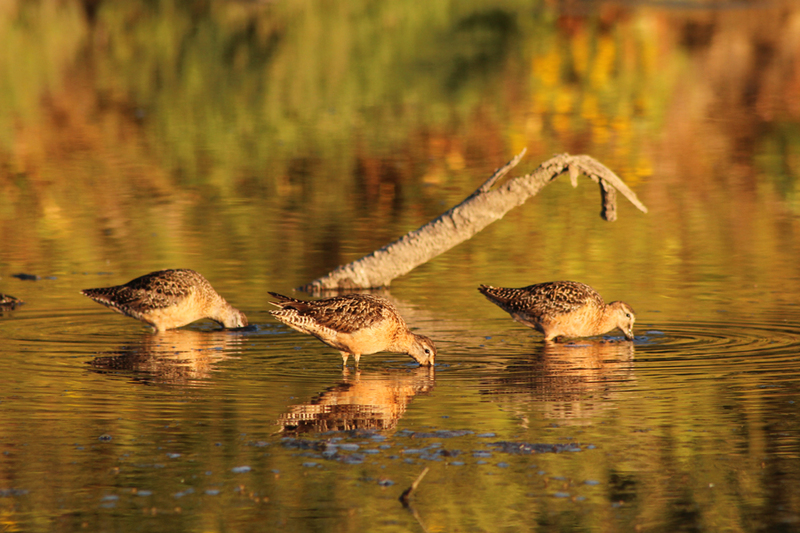 To get back in the swing of things, I'll share some shots from the shorebird migration that is the main focus of birding at the moment. You never know what you might find, but unfortunately I have just been spying the expected species. That doesn't mean I haven't enjoyed keeping my identification skills sharpened with tricky IDs like dowitchers and Semipalmated Sandpipers. Be sure to get out and enjoy shorebirds while they're around - the best weeks of shorebirding are just starting up. 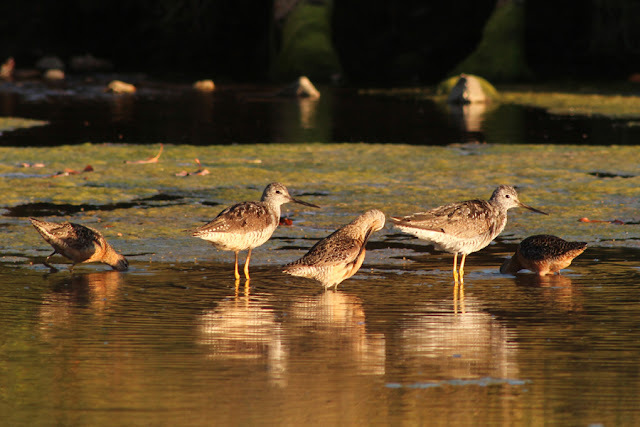 Back in mid-July, I stopped in at Albert's Head Lagoon with Jeremy K. and we were surprised to find a decent number of peeps despite the bustling beach activity and lack of shorebirds at Witty's Lagoon. 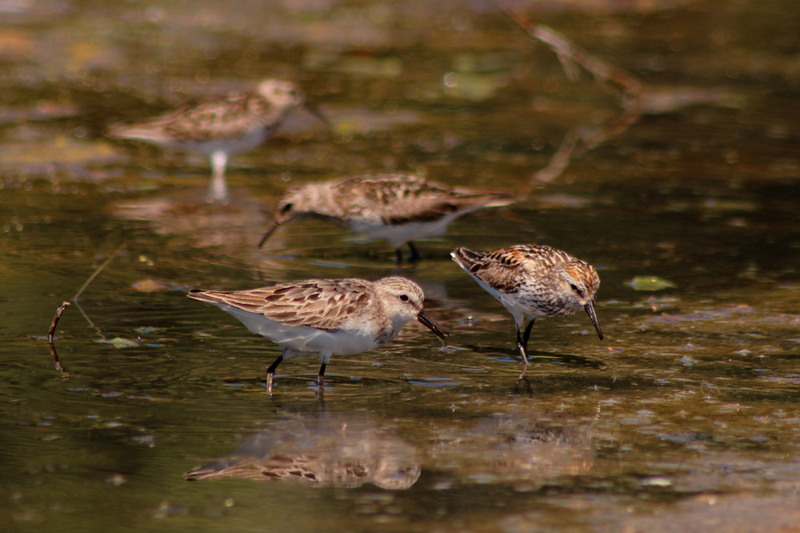 We hopped out with our bins and were pleased to see two Semipalmated Sandpipers in the mix of Least and Westerns. They stood out due to the usual characteristics - plainer grey overall and shorter bill that is straighter with a slightly bulbous tip. 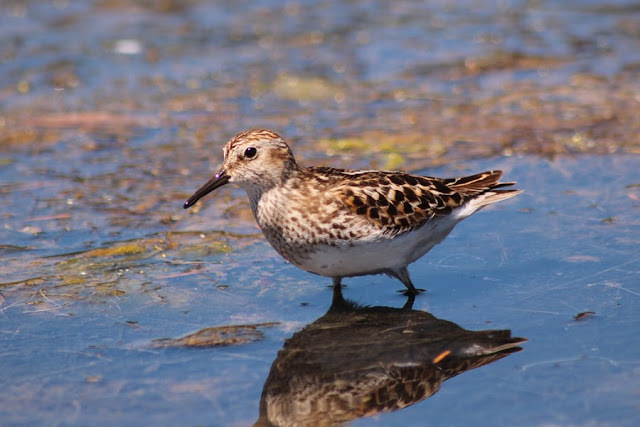 Least Sandpipers are a touch smaller than Westerns and Semipalms, show a more down-curved beak, have yellow legs, and are browner overall. In late July, I popped in to Saanichton Spit to see if any shorebirds were in the small lagoon or along the shoreline. It was completely dead. I was about to leave when I noticed a yellowlegs had dropped in to the small brackish pond that is now largely concealed by a wall of blackberries by the small bridge. I found a small trail through the blackberries and walked out to the pond and was pleased to see two Greater Yellowlegs, three Long-billed Dowitchers, and twenty peeps. 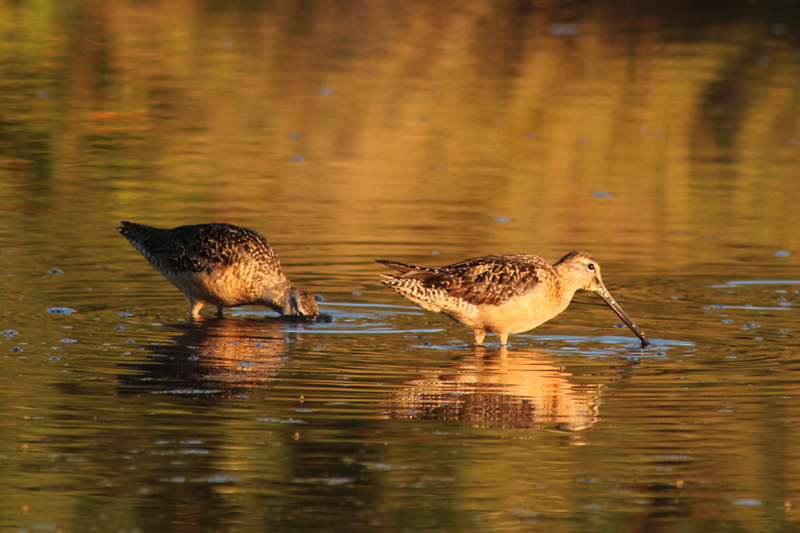 Another shot of the Long-billed Dowitchers. The lighting doesn't really do their colour justice, but their underparts were uniformly tawny-orange. 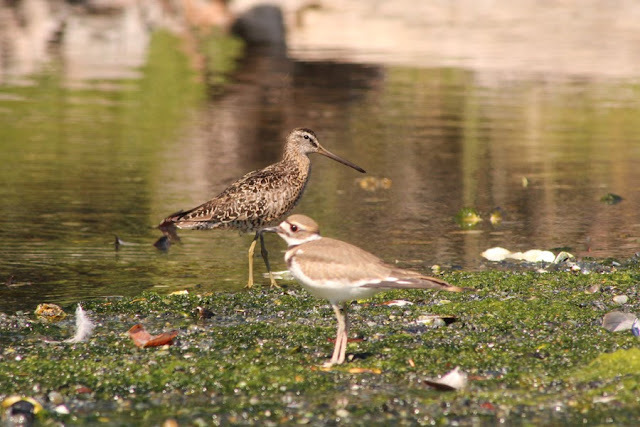 This is not a diagnostic feature, but is more indicative of Long-billed. I also took a zip out to Whiffin Spit at the end of July with Jeremy K. and the hightlight there was a lone Sanderling transitioning out of breeding plumage. 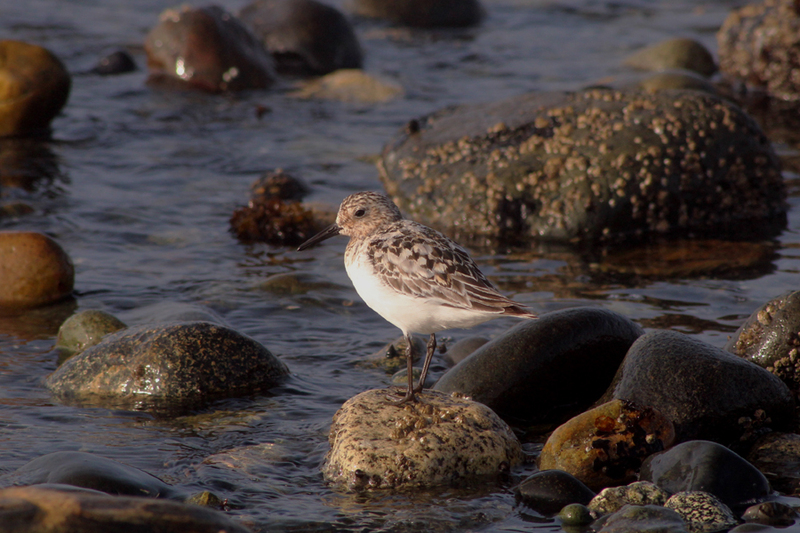 Because we're so used to seeing Sanderlings in the winter, seeing them in breeding and transitional plumages always causes a momentary lapse. This one was quite cooperative and allowed a few photos before I left it to wander along the rocky shoreline. 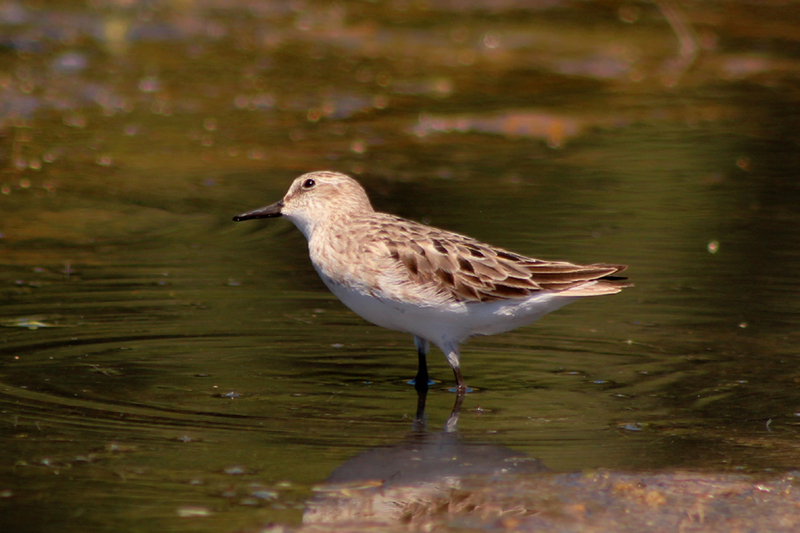 The washed out tan, streaky head and dark mantle feathers are the holdouts from the breeding plumage on this adult Sanderling, while the silver feathers filling in on the back are the start of the more familiar non-breeding plumage. 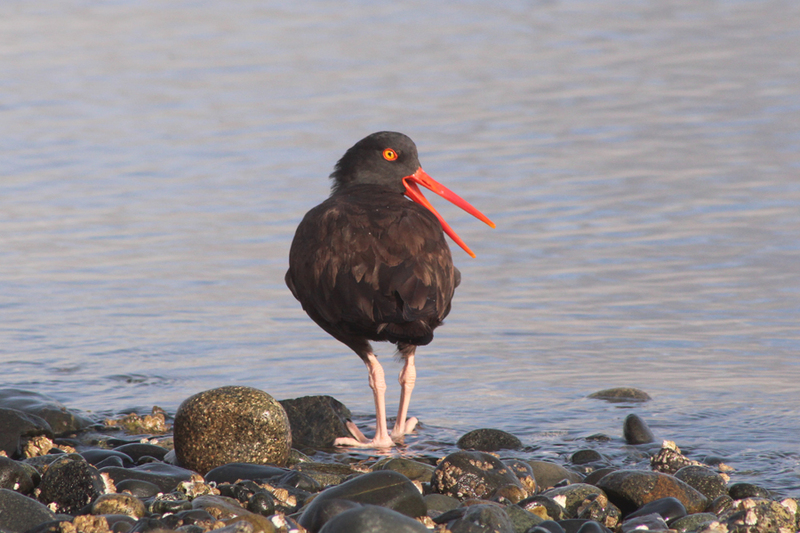 I also had three Black Oystercatchers on the inside of the spit. They may be common but they are probably one of the most charismatic resident species in our region. I enjoyed watching this one call as if to say it wasn't a fan of my presence. Am I the only one that gets a little weirded out by their skin-coloured legs? A quick pop in to Albert Head Lagoon, also at the end of the July, resulted in a sighting of my first southbound Short-billed Dowitcher of the year. After seeing several Long-billed Dowitchers in the previous two weeks, this one stood out due to its paler underparts and I feel the bill even looks short on this one. 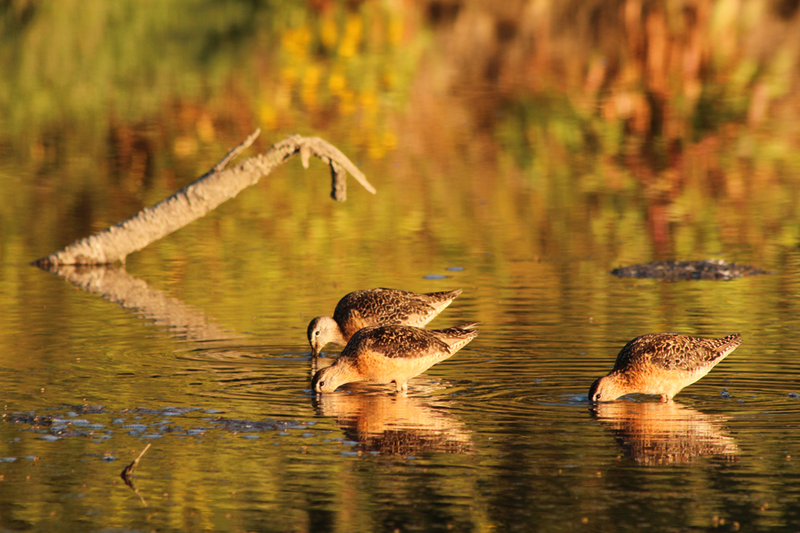 In addition to being less bright overall, this Short-billed Dowitcher shows off another nice feature. Apparently, adult Short-billeds retain more spotting and barring on the belly and chest later into the summer. If you compare back to the three Long-billeds, you will see they all have less markings on their underparts. That's all I have to offer at this time. I know it was rather lackluster, but it's all I have! Well, that's not true. I will add a couple other photos that I picked out from the last while. 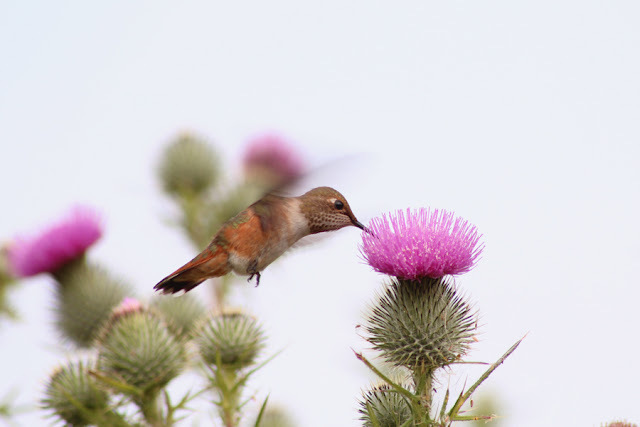 First, I have a photo of a juvenile Rufous Hummingbird that was visiting thistles in the Jordan River area. One day I'll be good enough to have the wings showing rather than just a blur! 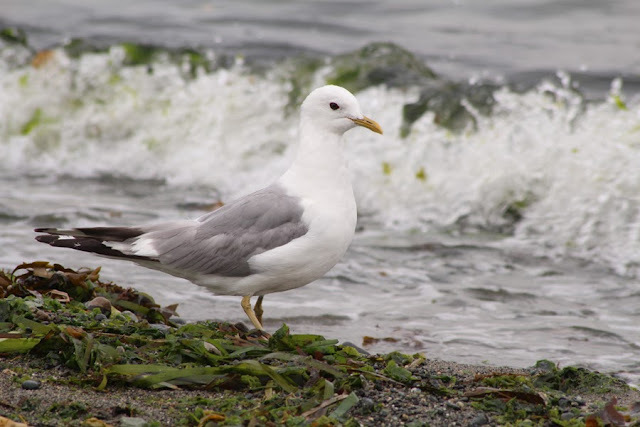 My final offering is a rather accommodating adult Mew Gull from Saanichton Spit. They look sharp when they return, even if they do show signs of molting. Hopefully I'll get my act together and increase my output when I get back. If not, bear with me as I go through this minimal motivation patch. Now stop reading and get out and enjoy those shorebirds!